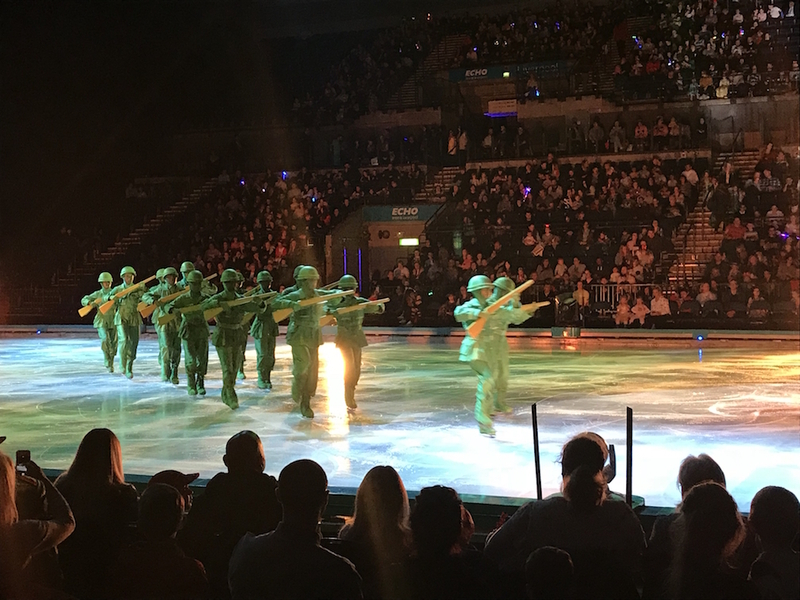 Disney on Ice has returned to the ECHO Arena in Liverpool for the launch of a new show, Worlds of Enchantment, presented by the main mice – Mickey and Minnie. Worlds of Enchantment introduces new showcases – Toy Story 3 and Cars with appearances from almost all the favourite Disney characters including the Little Mermaid and Frozen’s Anna and Elsa plus Goofy and Donald Duck. 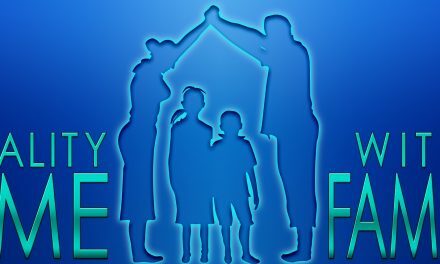 The show began in Andy’s bedroom as he’s packing to go to college and Woody, Buzz and friends need to make a plan to avoid being taken to the dreaded Sunnyside Daycare. I had taken my 8yo daughter and 3yo little boy cousin who like all the little boys there was thrilled to see Sarge and the green army of soldiers arrive and take charge. 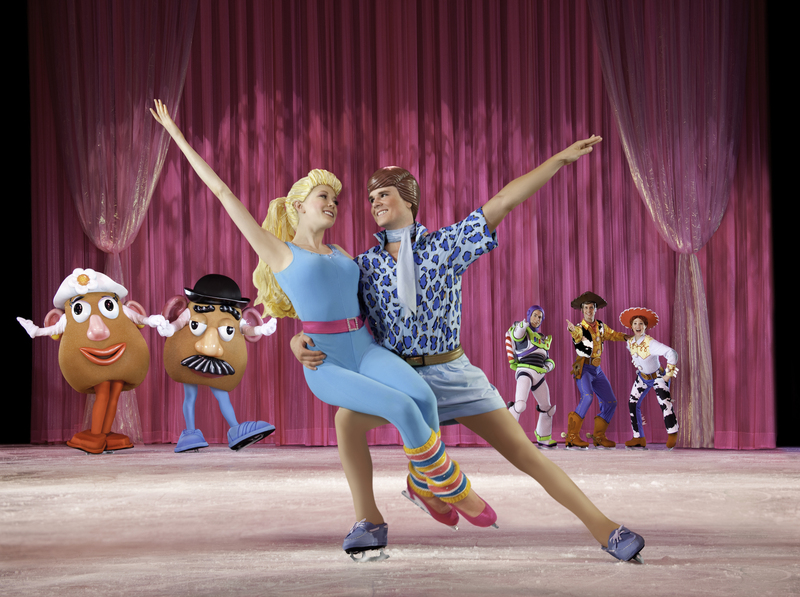 The first hour is an on ice version of Toy Story 3 and the highlight for me had to be Ken and Barbie. His fashion show was accompanied with a fab soundtrack of 60s and 70s disco classics from Rescue Me to Mr Big Stuff and Le Freak. 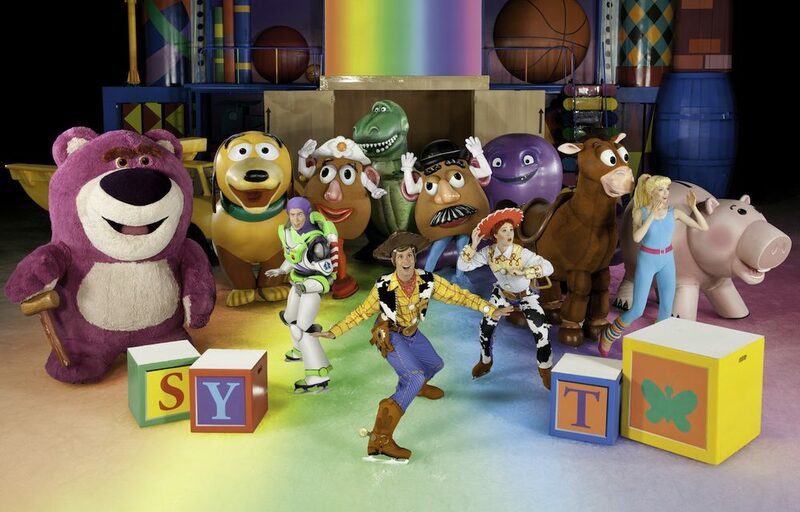 Hats off to the whole cast for superb skating, jumps and spins wearing plastic hair and elaborate costumes. We then headed off under the sea with The Little Mermaid Ariel, Prince Eric, Sebastian and Flounder. Bubbles fell from the ceiling as they danced to Under the Sea, Kiss the Girl and of course Part of Your World. Cars was a new showcase featuring Lightning McQueen and his buddies Mater, Sally, Flo and Ramone. 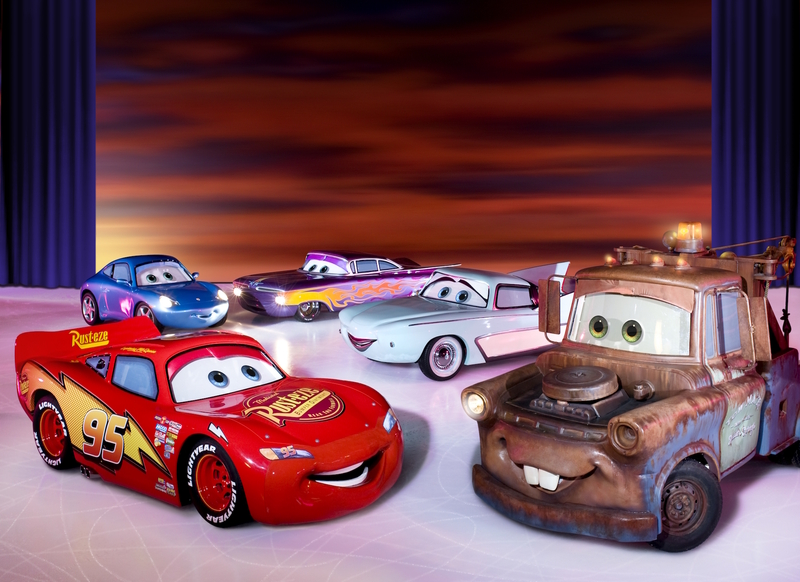 These aren’t just cars, each car was its character with moving features including eyes and mouths and they performed amazing stunts including spins and skids across the ice. They were big and bold and Cars was a highlight for our 3yo and lots of the other little boys there. 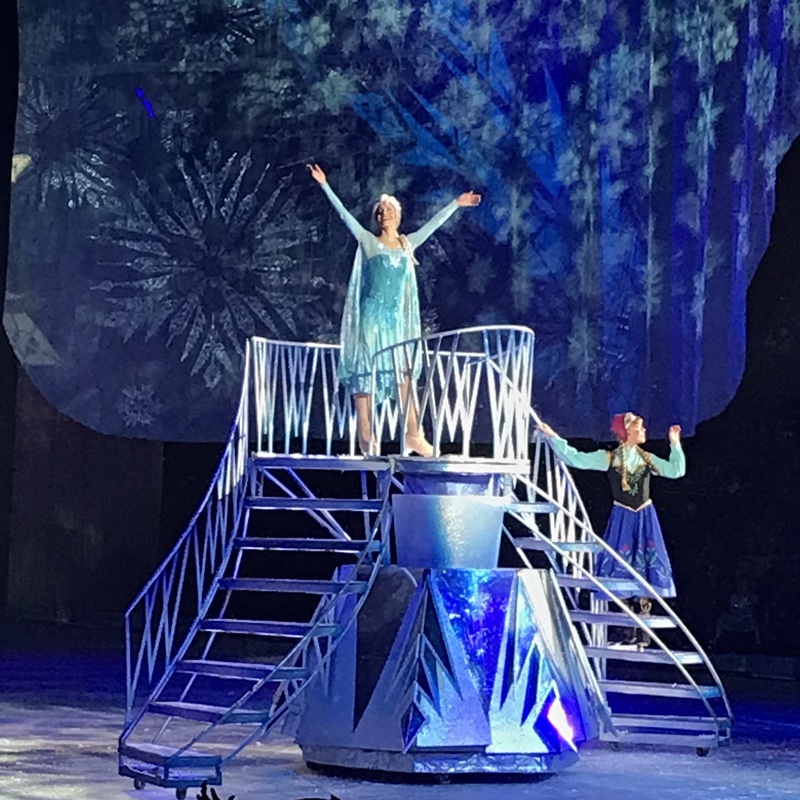 The finale took us to Arendelle to see our favourite Frozen sisters, Anna and Elsa. There were many little Elsa’s and Anna’s in the arena up dancing and delighted to see their favourite princesses. The snow fell, the skates spun and the showcase sparkled. 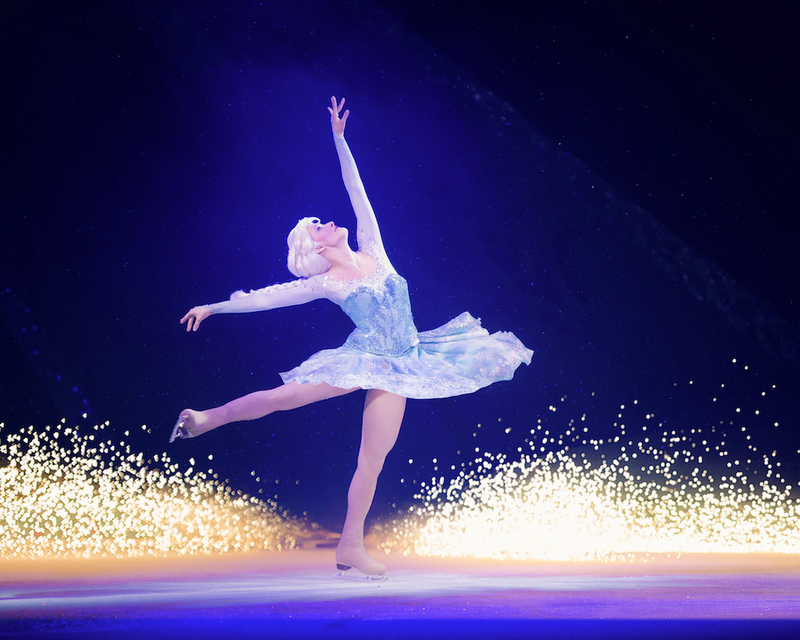 Olaf brought his usual fun and joy to the ice and the arena sang along to their favourite Frozen songs including For The First Time In Forever, Love is an Open Door and the finale Let It Go. 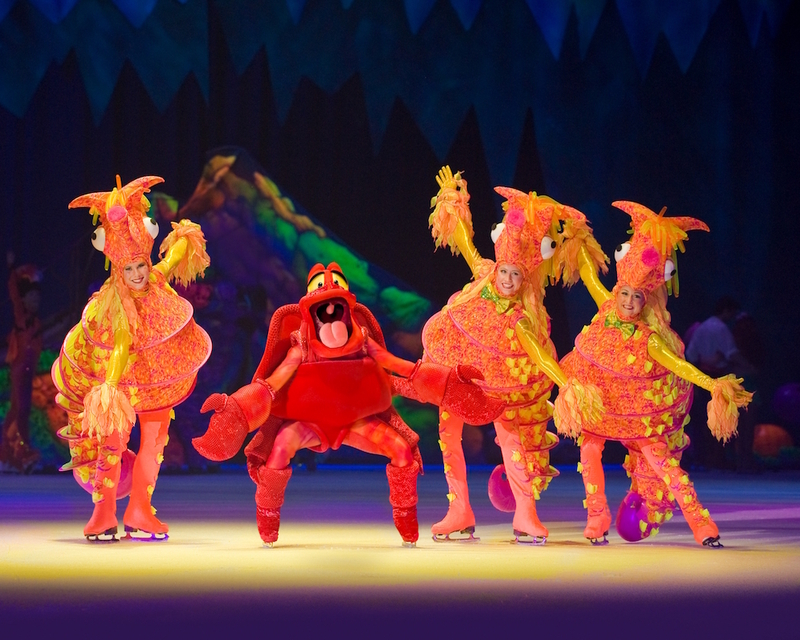 Disney on Ice presents Worlds of Enchantment is at the ECHO Arena until Sunday 15th April 2018. Tickets are priced from £20.75 to £48, go to echoarena.com for more details.